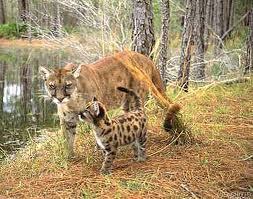 Florida state animal is the Florida panther. The most endangered of all Florida’s symbols is its state animal, the panther which was chosen in 1982 by a vote of students throughout the state. Florida panthers are solitary animals and usually roam around at night. They reach sexual maturity at around 2 years of age and have an expected lifespan of about 10 years. Human population growth has been the primary threat to the panther’s range and continues to diminish the quality of existing habitats. 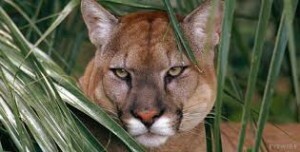 The Panther has been protected from legal hunting in Florida since 1958. It has been on the federal endangered species list since 1967 and on the state’s endangered list since 1973.